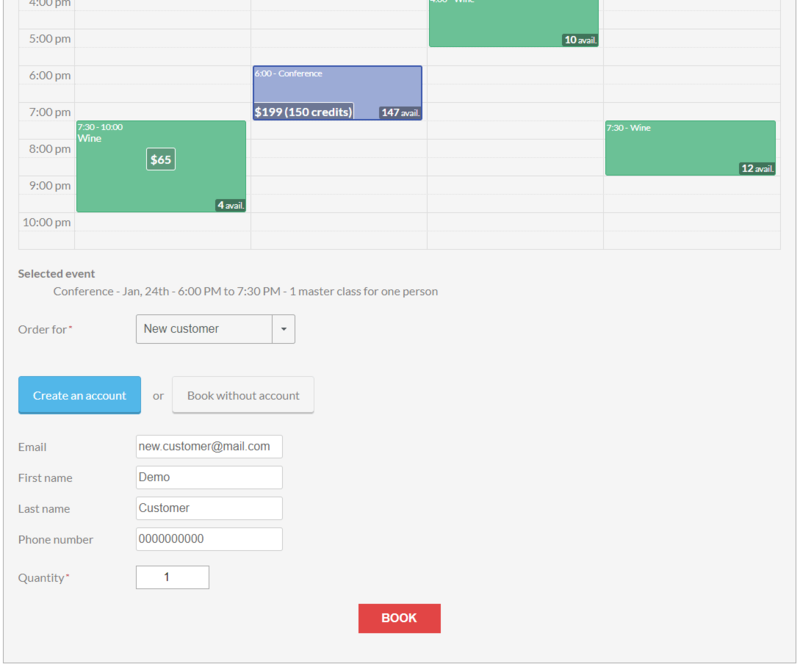 Order For Customers plugin lets you take orders and bookings for your customers in the simplest way. 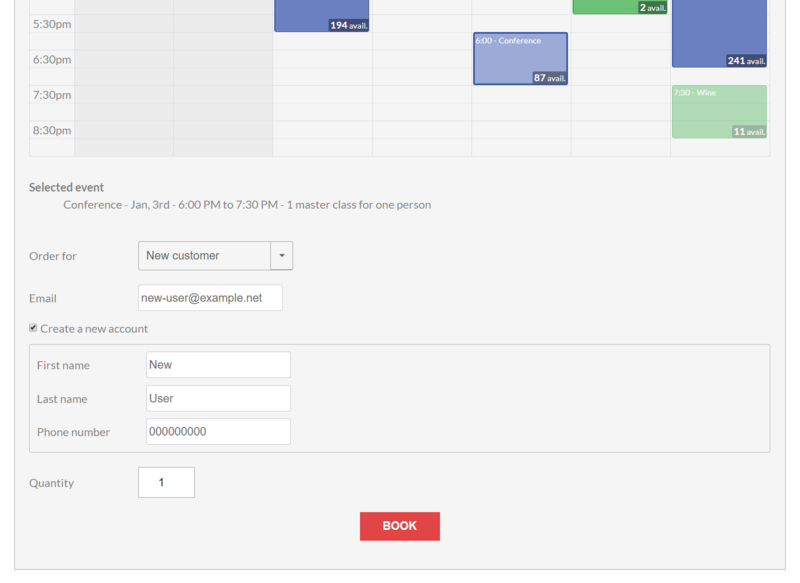 After installing Order For Customers, a new “Order for” field appears on your booking forms. If you use it with WooCommerce, this field will appear on the checkout page. 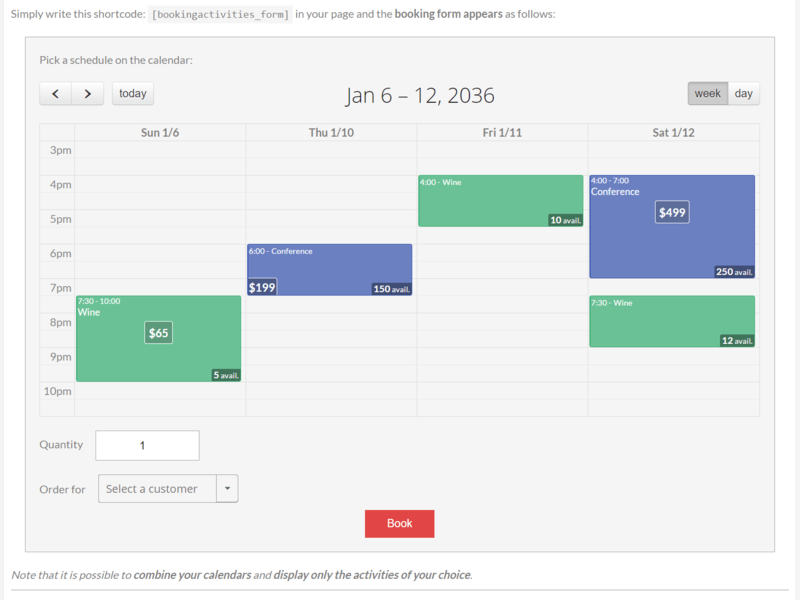 You just have to make a standard booking / order on your site and choose the customer before you submit it. If the customer does not yet have an account on your site, choose “New Customer” and enter the required information. An account will be automatically created, and its username and password will be sent to him by email. 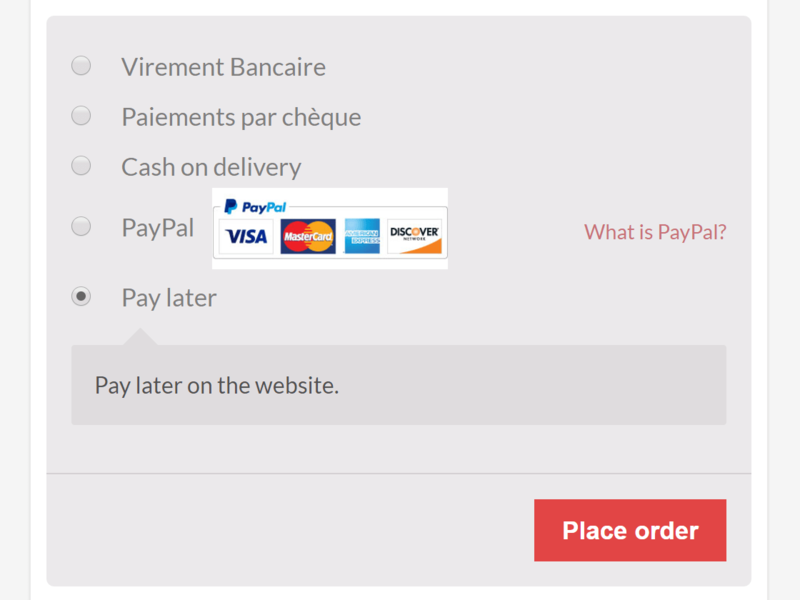 Order for Customers also has a brand new payment gateway called “Pay later”. If you choose it at checkout, you will allow your customer to pay later on your own site through the other authorized payment gateways (card, paypal, on the spot …). 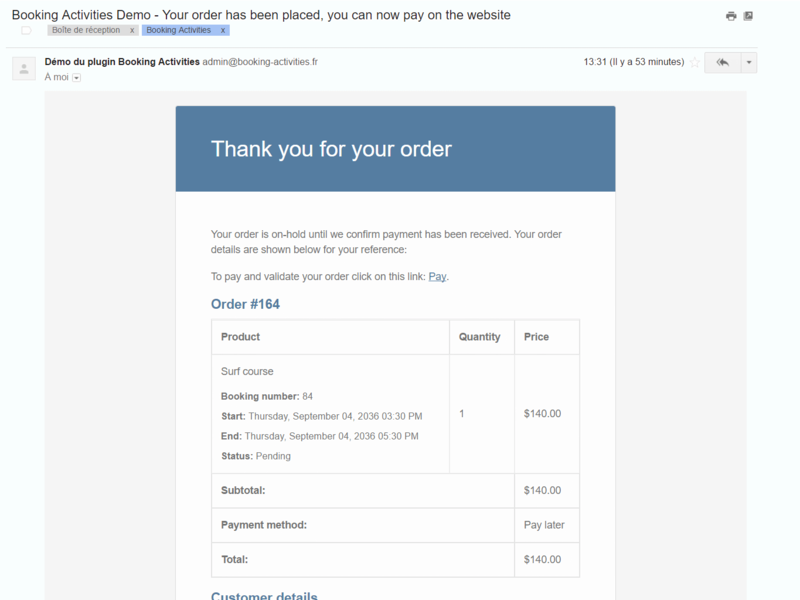 Your customer will receive by email his order summary with a link to proceed to payment. This plugin has been specially designed for operators and salespersons. This is why it is possible to assign the “Operator” role to those users. 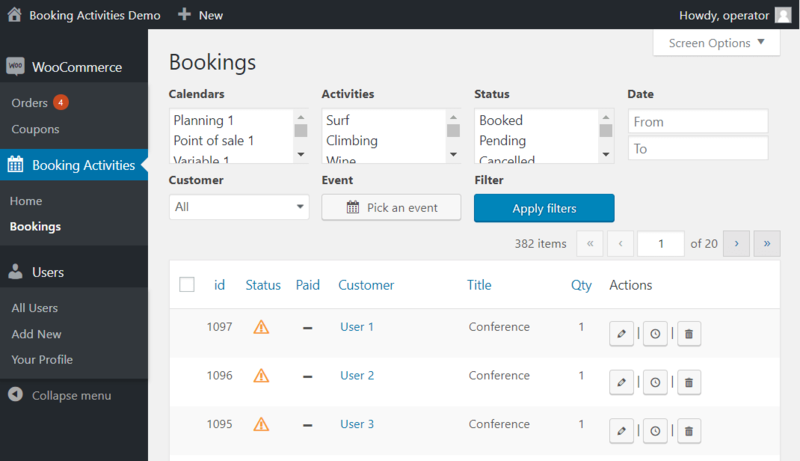 Then, WordPress administration interface will be accessible and simplified for them. Your operators will only be able to see and do what they are allowed to. This way, you will greatly minimize manipulations errors and their consequences on your activity.  Order for Customers work with Booking Activities and / or WooCommerce. 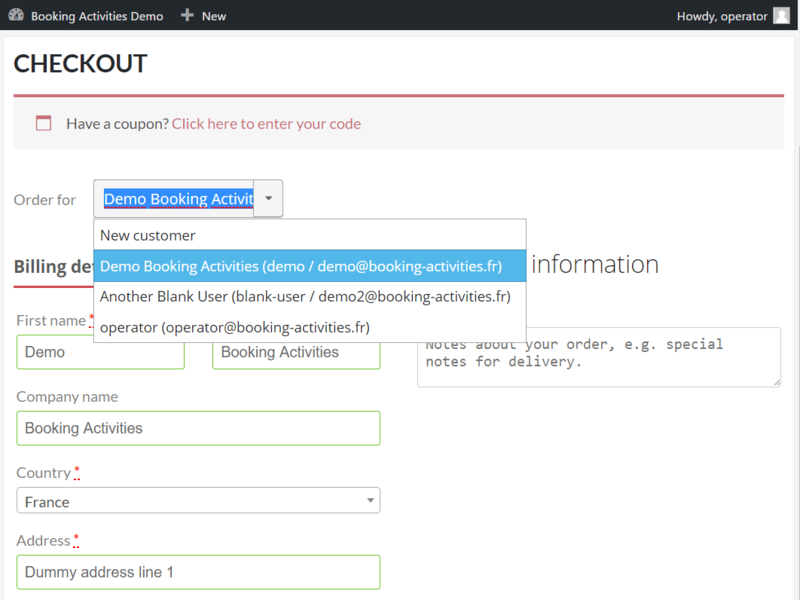 The functions specific to one or the other plugin will be activated automatically when you install Booking Activities / WooCommerce. 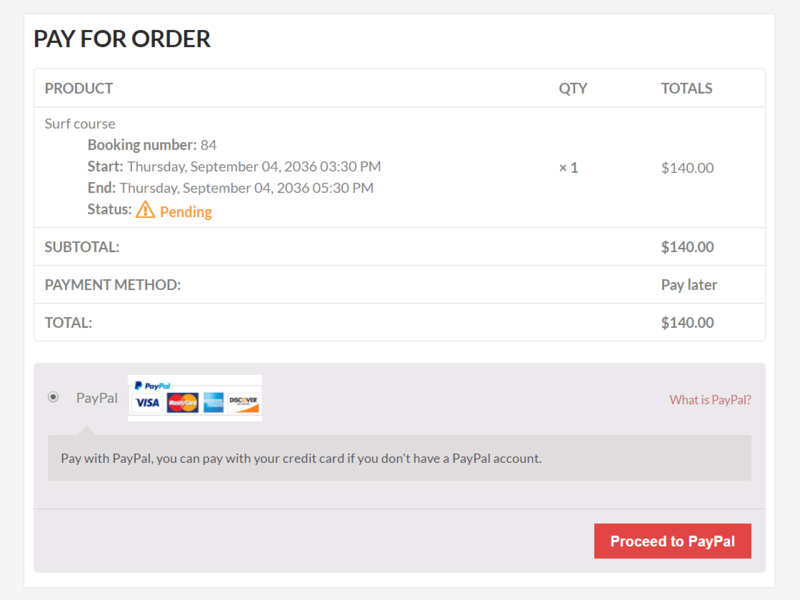 Tweak - Support Booking passes from the add-on \"Prices and Credits\"
Order for Customers at your service!